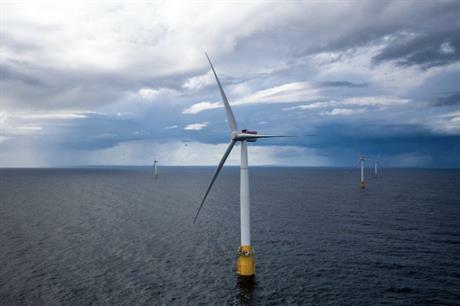 UK: The Scottish seabed landlord, Crown Estate Scotland, has outlined a provisional design for a complete leasing package for new offshore wind farms off the coast of the country. Crown Estate Scotland hopes to create a pathway for developers to be awarded "Option Agreements", giving them exclusivity of areas of seabed for offshore wind for up to ten years. This would give applicants "the required certainty" to invest in developing project, encouraging a new generation of offshore wind projects in Scottish waters, the organisation explained in a new 'discussion document'. No new capacity targets have been set and no new development areas have been specifically earmarked within the document. However, Crown Estate Scotland explained two or three development phases of areas smaller than 1,000km2 may be possible over a ten-year period, and so "a limit in the region of about 3,000km2 may be about right". Crown Estate Scotland plans to publish a final leasing process in late 2018 or early 2019, it added. This would include: identification of the parts of the seabed being offered; the contract terms setting out successful applicants’ use of the seabed; an allocation procedure for selecting successful applicants, if necessary resolving competing interests. Roseanna Cunningham, cabinet secretary for the environment, climate change and land reform in the Scottish government, wrote the foreword to the new document. She explained by making "the right seabed locations (available) at the right time", Crown Estate Scotland could "attract inward investment, develop new technology and continue to drive down the associated costs of offshore energy". Crown Estate Scotland also explained it needed to start planning now in order to ensure new projects are being built in the late 2020s and beyond. Fabrice Leveque, senior policy manager at lobbying group Scottish Renewables, said: "New sites would allow us to capture more of our offshore wind resources and enable Scotland’s burgeoning offshore wind supply chain to gear up and grow, delivering jobs and investment not just on our coasts, but across the country." Civil service body Marine Scotland, meanwhile, has started a scoping exercise to identify broad areas of search for offshore wind development. A consultation on this is due later this year, it added. Eventually, a new 'Sectoral Marine Plan for Offshore Wind for Scottish Waters' will be produced. Crown Estate Scotland intends to invite applications for leases off the Scottish coast once Marine Scotland has drafted the sectoral marine plan for Scottish waters. This will "avoid delaying applications until a fully adopted plan is available", it explained. There is currently 211MW of operational wind farms off Scotland’s coasts — including Equinor's 30MW Hywind project, the world’s first commercial floating project. The country also has 680MW in construction including the 588MW Beatrice project in the Outer Moray Firth off of Scotland’s north coast. Crown Estate Scotland added the country has 1.4GW due to begin construction in the next few years, and a further 4GW of projects that are consented or in the planning process.